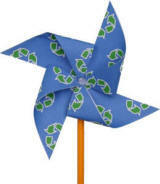 Pinwheels are a fun craft and also a way to introduce the idea of wind power to young children. 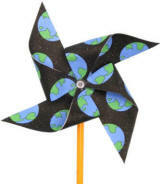 Green energy is a great topic on Earth Day! Bend each corner to the center dot, but don’t crease your folds.